What finishes off a teachers desk better than a Solid Bamboo pencil pot. Complete with personalised message. 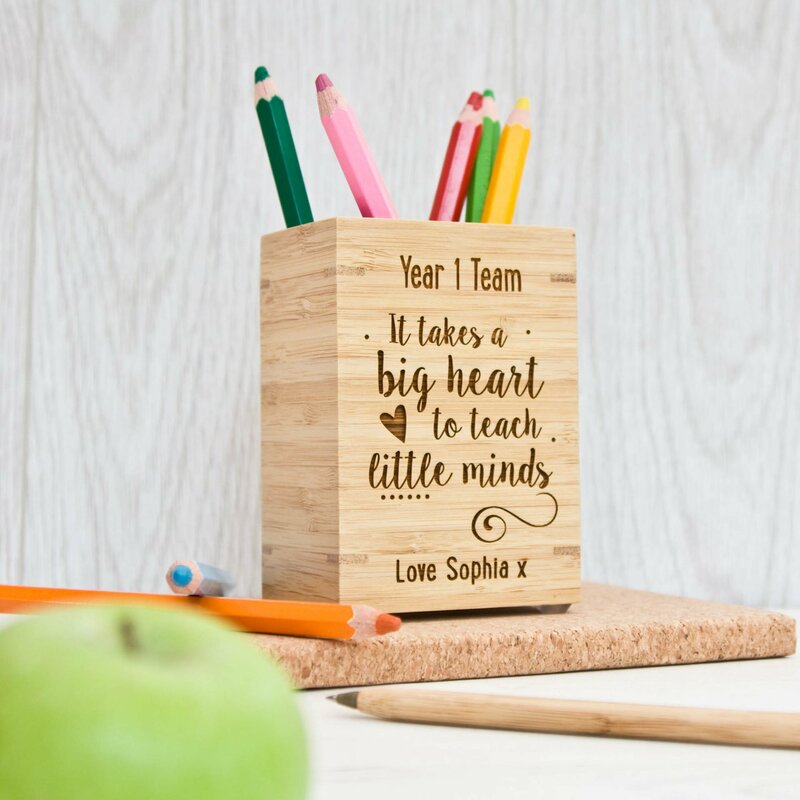 The pot is a 8cm x 6cm then 12cm tall wooden pot perfect for all those spare pens and pencils. Tidy desk, tidy mind! The base of the pot can be removed to help cleaning if you have a leaky pen. 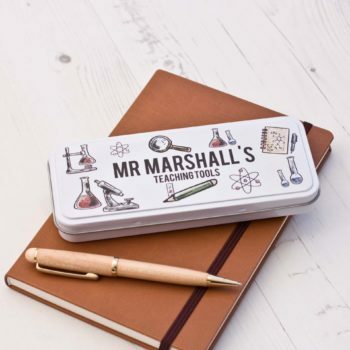 This gift will sure remind every one who the desk belongs to (and even make all the other teachers a little bit jealous!). The pot is finished with a personalised message and varnished to add that extra touch of quality.